1724 Daily Bread Oval Plaque  - $50.00 : Red Bird Mission Crafts, Hand crafted art. 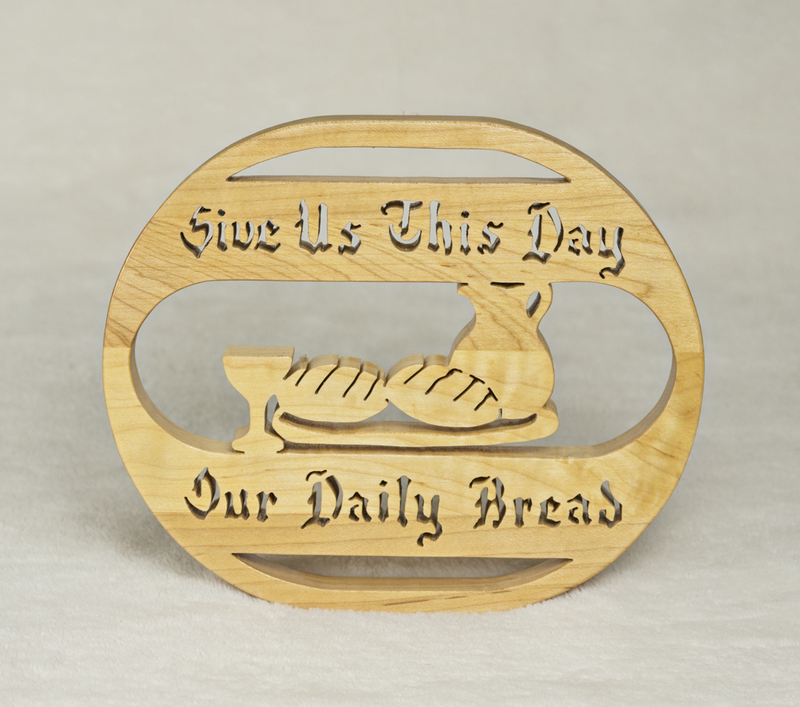 This "Give us this day, our daily bread" oblong plaque measures approximately 8" x 6.5 and is made in various types of woods. This product was added to our catalog on Thursday 02 April, 2015.